I've been posting lots of protein recipes lately, so I figured I would switch things up a little... because every meat calls for a tasty veggie to go with it! 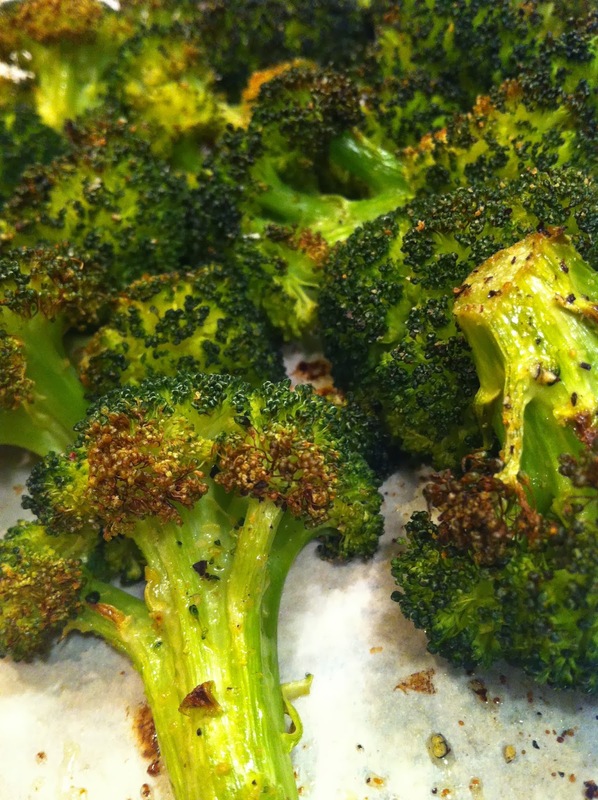 Broccoli has always been one of my favorites, but this oven roasted version takes broccoli to a whole new level! It gives it an amazing flavor, sure to impress even non-broccoli-lovers. Oven roasting is a great way to add tons of flavor with little effort. The high heat gives a little caramelized crunch without cooking out all of the amazing nutrients (fiber, vitamin C, iron~ just to name a few!). You can use whatever spices you like, but I kept it simple with salt, pepper, & garlic. Give it a try next time you need a quick & easy side dish, and enjoy! Sprinkle salt, pepper, & garlic powder over top. 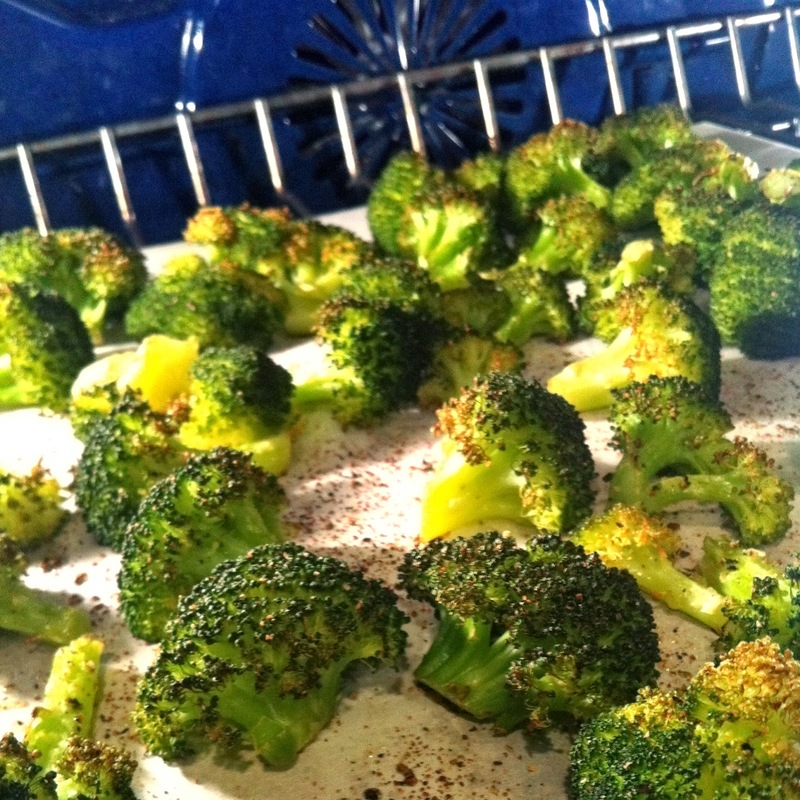 Bake for 15-20 minutes or until the edges begin to brown & the broccoli is tender-crisp. *I used a "Misto" brand sprayer that you fill with your own oil. If you don't have one, you could toss the broccoli in a large bowl or drizzle the oil over top~ you don't need much, just enough to coat. I Like this one - A LOT! And so super easy! Just a heads up--Don't be cheap (like me) and use frozen broccoli haha It's not so wonderful. I make my roasted broccoli almost the exact same why, but at the end I top with a squeeze of lemon and some of the zest. Give it a try and let me know what you think?!?! This just saved me! I had a bunch of broccoli and didn't know what to do with it. This was quick and easy and my partner and I love it! !